Nina Pavcnik is a Professor of Economics at Dartmouth College. Her research interests lie in international trade and empirical industrial organization. Her recent work has focused on the consequences of trade reforms for firms and labor markets in less developed countries. She is a NBER Research Associate, CEPR Research Affiliate, and BREAD Senior Fellow. 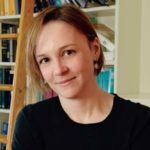 She currently serves as an associate editor for the American Economic Review, the Journal of Development Economics and the Journal of International Economics. She has consulted for the World Bank and the Inter American Development Bank. She received a B.A. in Economics from Yale University in 1994 and earned a Ph.D. in Economics from Princeton University in 1999.